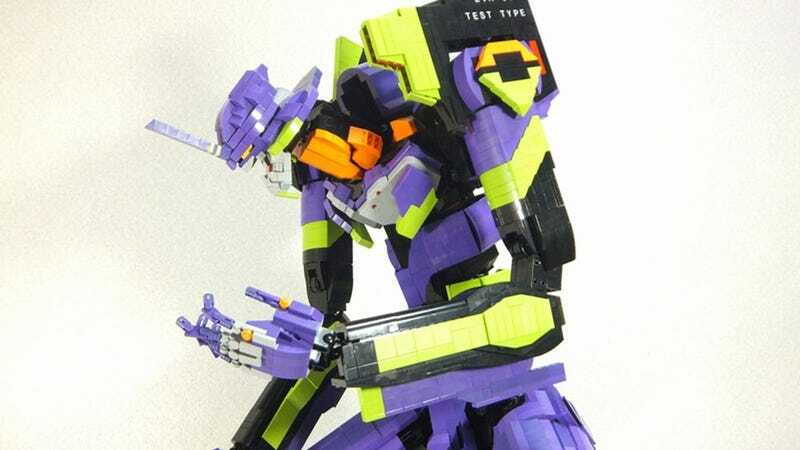 This LEGO recreation of Evangelion Unit 0-1 is 120 cm tall. It weighs just under 10kg, or 20 pounds. It is, with all that towering purple, blowing my socks off. It's not just the scale that's impressive. You can pose it, it's got weapons, and it's even at the right size so that minifig pilots can be dropped inside to get smashed up.